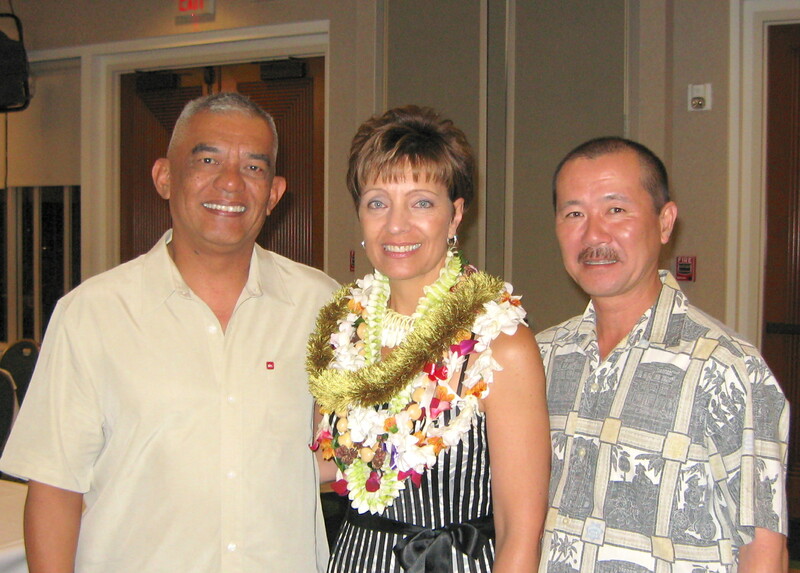 There was an Aloha Party for CMSgt Denise Jelinski Hall on January 16, 2010. She had served as the Hawaii National Guard’s Senior Enlisted Leader for several years. General Craig McKinley, Chief of the National Guard Bureau, had just selected her to become the first Air Guard member and the first woman to fill the role as senior enlisted leader to the National Guard leader. In that position, she would advise General McKinley on enlisted affairs for the nation’s 415000 soldiers and airmen. She would begin her three year tour in February. This photograph shows two attendees from the 154th Security Forces Squadron – CMSgt Ray Durapan and MSgt Steven Matsuda – with Chief Jelinski-Hall. « Dementia Diagnosis: When Do You Go Public?